Would you play a card game with a cheetah? If you're going to someone's house for a party, what do you bring? How many hours a week do you Watch TV? Do you like to read books? Have you ever gone skinny dipping? For those of you that don't use Instagram, why not? 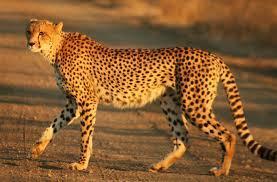 That cheetah might cheat or move cards too fast for me to keep up! No, I know not to trust cheetahs since they make a habit of cheating at everything. Lol... never trust a cheetah! Cheetahs always cheat! would not mind in doing so! Sure, but only if said Cheetah deals the cards. No because cards is a devil's game. Otakus are lewding the solar system again... Ten songs about hair Why you should love Korean Hip Hop Rebooting shows is like rewriting history. You do not rewrite history What It's Really Like to Be an "Ugly Woman"
Home > Entertainment & Arts > Would you play a card game with a cheetah?